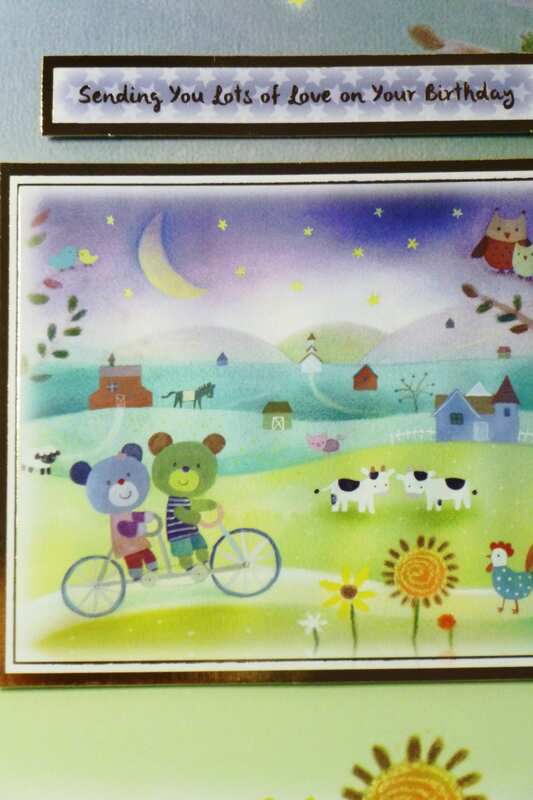 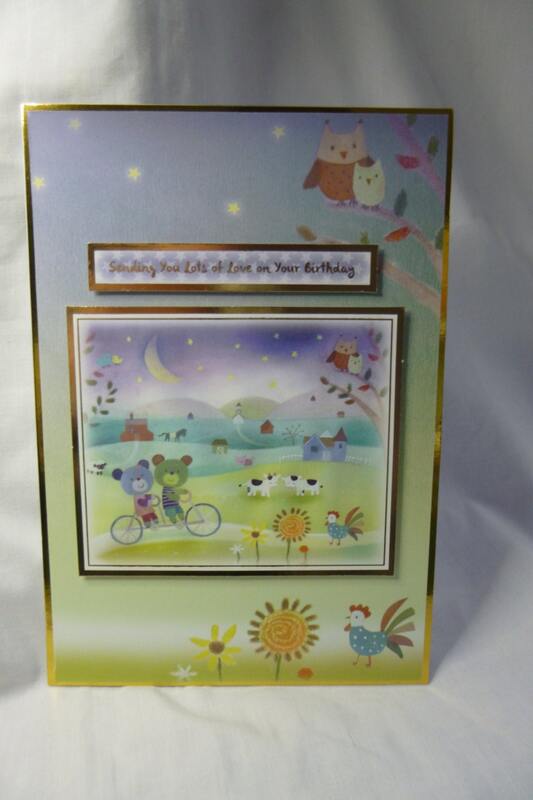 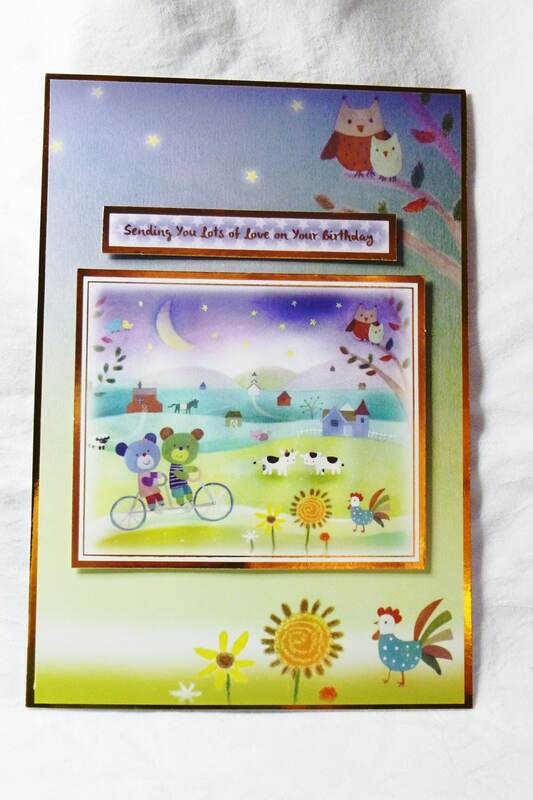 A cute card, of two bears on a bike, farm yard animals in the background, made from white card, layered with gold card, and patterned card, with a large topper in the centre of the card, above the topper is a sentiment which says, 'Sending You Lots Of Love on Your Birthday'. 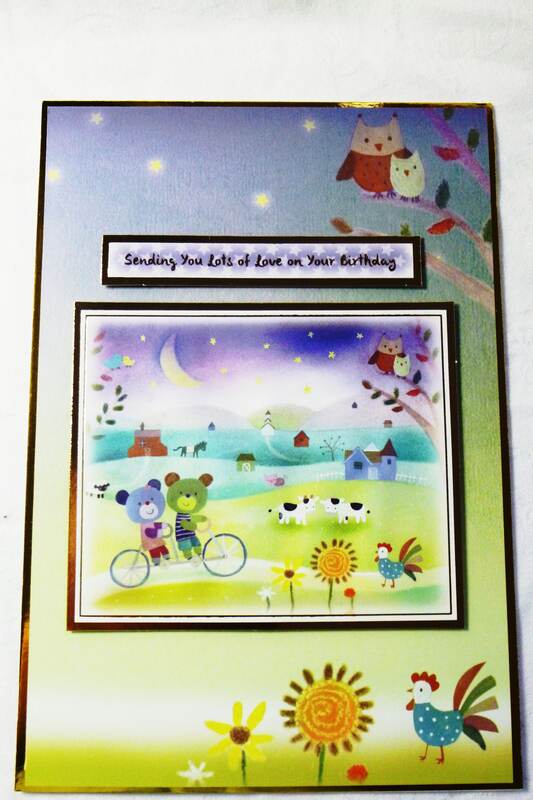 Inside he card is plain white insert paper for you to write your own personal message. 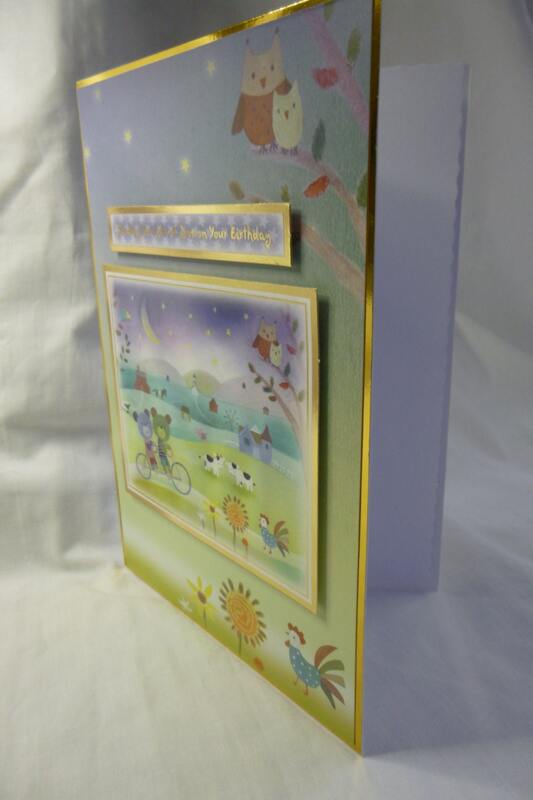 The card measures 6 inch x 8 inch, 15 cm x 20 cm, includes and envelope. 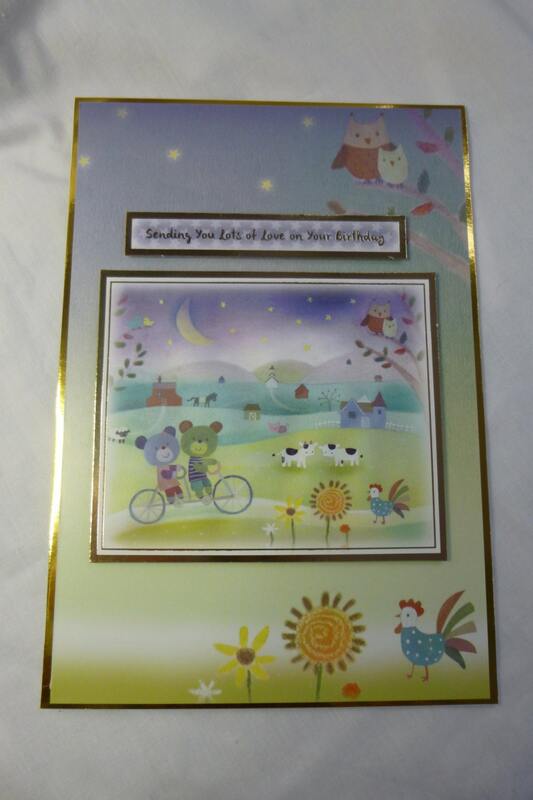 Please note age number can be applied to the card. 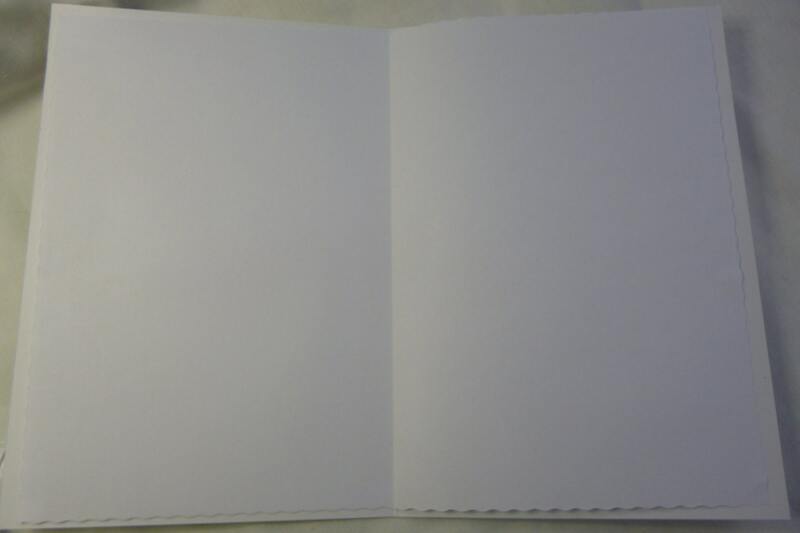 Please add to note when ordering.